This is a large custom story for Amnesia. It totals about 8 hours of gameplay and features 48 new maps and side quests as well. If you are looking to spend some more time with this game, this may be a great place to start. This is a mini custom story where you play as warden Daniel Williams where he struggles to gain freedom. This is a custom story. You'll just have to follow the link and check it out as there is not much information for me to describe it with. 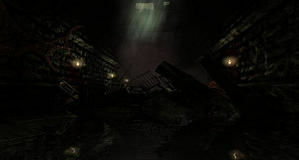 Amnesia has gripped you as you struggle to escape a dark, lonely dungeon. This custom story is sure to give you hours of fun. This is a custom story where you play as Richard Nixon, a scientist trying to save your true love. Taking place in 1865, can you survive this experience? This is a MOD for Amnesia: The Dark Descent. It is my first ever custom story and I hope everyone likes it. You arrive home from an exhausting day and go to bed. Then you hear a scream. You get out of bed to discover that you are not alone in the mansion. After a while, you realize that the mansion is not safe and you must leave as soon as possible! You are Matthew, an unlucky man who found himself waking up in a cell with no memory. With a throbbing concussion, you have no choice but to venture further and find out what had happened. You are an english man whose brother came from very far away to visit you but things started getting strange since his arrival.